MockupTiger provides widgets for building quick website wireframes, mobile stencils and dashboard charts. The dashboard chart accept data so you can prototype realistic charts. It provides consistent approach that is both simple and extensible. MockupTiger is not only simple to use, but it works very well with teams and clients. Involving your clients during wireframing sessions will make client participation fun and interactive hence increasing productivity. MockupTiger is simply a web based wireframe software application that works on every platform [windows, linux/unix or Mac]. Being browser based application, MockupTiger comes packaged with everything to run on Windows. Using any Apache or NginX webserver it can be deployed to any Linux server or Mac Machine. Use it on Cloud. We host the same application on our cloud that you download. 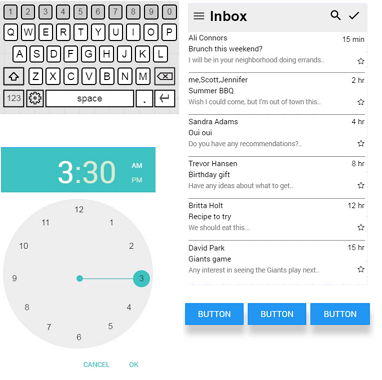 Extensive library of Text widgets, Container widgets, Line Connectors and Icons. It also provides dashboard widgets that accept data to create true chart mockups. Over 3000+ Icons from Material design, Font Awesome and Linea are packaged as widgets that can be used for building wireframes. All the icons can be simply dragged and just works like any other widget. There is no obtrusive dialog boxes that you need to pick an icon. Build true dashboard wireframes using D3js based library. All the charts accept data and behave like real charts. 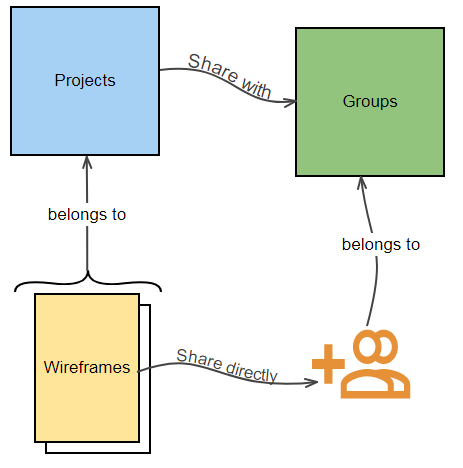 Enterprise project based management organizes each wireframe into project and can be shared with Groups of users. Individual pages can be made shareable via URL. MockupTiger provides a powerful mechanism where you can group multiple widgets into a Symbol and you can nest these symbols with other widgets to form bigger Symbols. 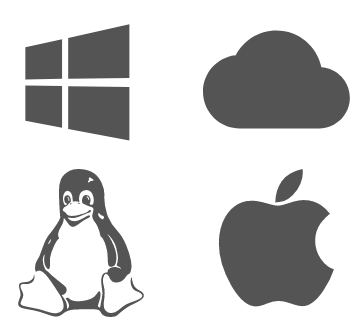 Using the same mechanism we provide pre-packaged stencils for Android and iOS platforms. Annotation widget provides automatic numbering saving you plenty of time. Simple drag the circles and place it on the widgets. It will remember the number sequence. Build flowcharts, tell stories and depict flow of user actions using versatile connector lines. 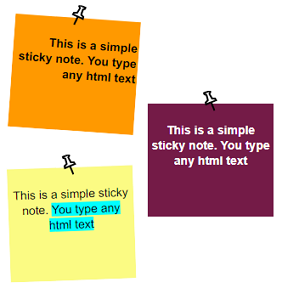 Sticky note is very interesting way to provide descriptions, comments and context to the wireframe. They come in variety of colors and sizes. You can even tilt them. In web designing and app production, being impatient and averse to long processes and brainstorming can be a counterproductive attitude. Good designers go through the four representation phases in their proper order: sketch, wireframe, mockup, and prototype. In particular, you shouldn’t skip the wireframe phase. What one works on the second phase of web design representation is the structural layout, which follows after the freehand drawing that’s done in the sketch phase. Wireframes consist of black and white outlines that define the sizes and locations of page elements, conversion areas, and navigation system of a website to be created. Wireframes don’t have colors, logos, font options, or any design components that can cause the designer to lose his or her focus on the site’s structure. They are akin to building blueprints where one can easily see the locations of electrical, plumbing, and other structural systems. The purpose of all four design techniques is to help developers figure out what they want to build. In other words, they are steps of representation of the final product. The first two — the sketch and the wireframe — belong to low-fidelity representation. The third step, the mockup, gives medium-fidelity representation while the last one, the prototype, provides high-fidelity representation. 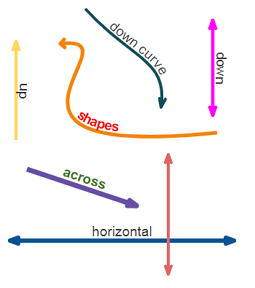 Sketch – This is the most basic representation. It is actually just a freehand drawing of what you want to produce, and this is also the quickest way you can visualize your website’s student. Even the simplest sketch can depict your ideas more clearly than words. Generate more ideas as you go along or even change details when sketching. There are online sketch templates, wireframe diagram, and mockup tools you can use without shelling out a dollar. 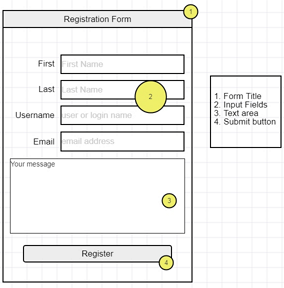 Wireframe – The goal in this step is to provide your website or app’s structure. This is just a simple layout where the functionality of the product and the interconnectivity among views/pages are shown. Here, you also describe the features and content you want to include and where they will be located in the final setup. Wireframes can also be used to make secondary and global navigations and ensure that the structure and terminology used for a website will be able to meet user expectations. Mockup – This is the stage where the static map of the product is created. It’s time to put in colors, placement text, logos, images, etc. It will look similar to the finished product, but it is not yet clickable and interactive. Rather, it is just a graphical representation, but one that you can use for providing a more defined visual to your investors to help them visualize how the finished product will look like. You can create mockups using free online mockup generator tool. Prototype – This is like the mockup stage with additional animation, interaction, UX pieces, and everything that you would like your users to experience when clicking the site’s buttons. Ask your team and potential investors for suggestions. At this point, the only thing that’s lacking is functionality. Web design prototyping tools can help you with that. It’s great for brainstorming. It’s easy to define expectations using these steps. It is also your chance to get your ideas clearly expressed. There’s less trial and error, which means you get to save money, effort, and time. As you go through the steps, you can use the representations for pitching your ideas to co-founders, investors, and clients. As opposed to concept designs, these representations are easy to amend. These various stages offer lots of opportunities for generating more ideas and incorporating needed changes to help you build the best website possible. How is MockupTiger Different and Unique? Our mockup software tool is available both for on-premise install on your desktop, MacOS, Linux Server or Windows Server. Very rarely you will find other wire-prototyping tools that can be installed on any platform and for any number of users. You can create wireframes without any installation using our online mockup builder. We host the same wireframe-software so there is no difference in the user-experience, no matter where you install or use. Wireframes are created like individual HTML page so you can easily share the online mockups. The only and best way to create Dashboard Wireframes and mockups. The chart widgets are true d3js based visualization widgets and you can simply enter data into the charts and create working dataviz prototypes. Dashboards are an essential part of any application. Whether you are designing an admin-dashboard or full Finance Dashboard with drop down selectors, pie charts, line charts and bar charts, MockupTiger provides a comprehensive list of graphics for your purpose.